I've got gadgets and gizmos aplenty. I've got whozits and whatzits galore. (You want thingamabobs? I got twenty). And I have plans on getting more! Over the last couple of years, I've built a business around the app, taught people how to do the same and gone on some pretty wild sponsored trips around the world! When it comes to buying goodies to help me make epic content, I haven't held back over the years. I'm forever resisting the urge to buy on-brand phone cases (hello tropical vibes and monstera plants! ), I've invested in a video stabilizer to help make my Instagram Stories look profesh, and I even own a selfie ring light like a stereotypical millennial. So if you're at a loss on what to get the Instagram addict in your life - I'm ya gurl. 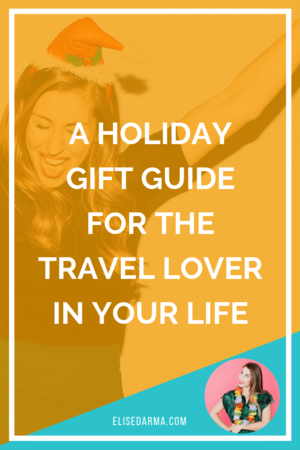 Here are my favorite gift ideas for Instagram lovers! From taking the perfect selfie to hashtagging up a storm, a smartphone is the lifeblood of any Instagrammer. 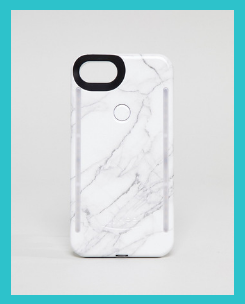 Give the gift of a chic phone case and prevent your friend from committing the social faux pas of snapping away on a case-less iPhone. Plus - it’s glamorous protection for their treasured little gadget. 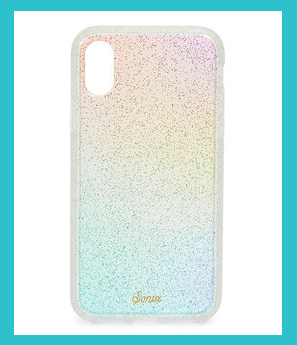 Add some sparkle with the Sonix rainbow glitter phone case. It matches the Instagram aesthetic and is on trend with all the unicorn and mermaid inspo that’s been floating around on the interwebs. Nothing screams Instagram Queen more than a designer phone case. 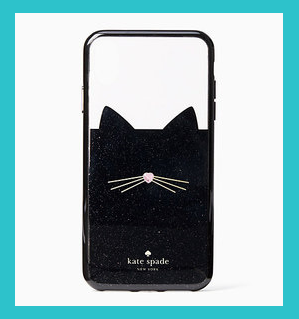 Kate Spade has plenty of chic designs, but her jeweled glitter cat case is purrrfection. For the Insta-addict who’s always somewhere tropical, get them a flamingo phone case. A surefire way to creep into their double-tap-lovin’, tropical-vibes-lovin’ heart. Save your friend from a dim, blurry selfie (oh, the horror) with the LuMee Photo-Lighting Case. It boasts studio-quality lights on both the front and back of the case, so you're perfectly lit no matter where you are. Trendy Instagram style + retro Polaroid photos = JACKPOT! It's so meta that any Instagram lover will appreciate this Fujifilm Instax landing up in their stocking on Christmas morning. Plus, the camera comes with a host of other bells and whistles. There's a built-in selfie mirror (hell yeah!) and an extra close-up collapsible lens. Hey, your shots need to be versatile to stay on top of the Insta game! Shop the Fujifilm Instax 9 HERE. The road to 100K followers requires creating a lot of top notch content and bangin’ captions; naturally then, this requires serious phone usage. From double-tapping and commenting to DMs and Instagram Stories - a true Instagrammer is always hustlin’ on the ‘gram. Help them crush their follower goals with a power bank worthy of their feed's perfectly coordinated and meticulously planned aesthetic. 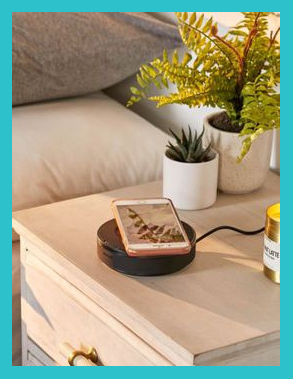 Shop the Wireless Charging Hub by Nomad HERE. Shop the Emoji Power Bank HERE. An Instagrammer is always on the go. Whether they’re on the hunt for Insta-worthy photo locations or drool-worthy food, there's never a dull moment when you’re part of the Instagram Club. This PopSockets combo gives you a better grip of your device, making it much easier to selfie up a storm and avoid dropping your phone. 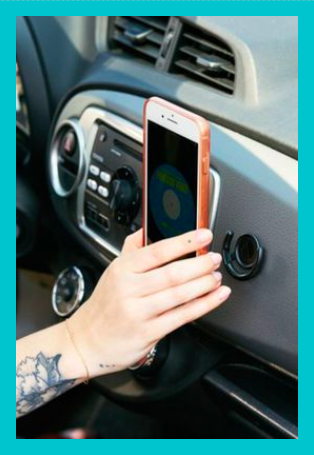 It's the perfect gift for 'grammers who want their phone travel-ready in the car and available to snap a pic at a moment's notice. Also, I don't know about you, but I could do without spending money on a screen replacement for a good couple of years. Shop the PopSockets Combo Travel Phone Stand HERE. There's nothing more Insta-worthy than a sun hat that's on point and on brand. Does your friend have a catchphrase? Are they always traveling? Or did a ring recently appear on that special finger? Gift them a personalized embroidered hat with a cute message like "wanderlust," "wish you were here," or simply their favorite travel destination. Your gift will become the star accessory of their feed, I promise. Shop Personalized Statement Sun Hats HERE. Looking to splurge on a special someone this holiday season? Add a DJI Spark drone to your cart. Aerial shots are all the rage on Instagram and can help level up anyone's feed. At roughly the same size as a soda can, it's the perfect traveling companion that can take gorgeous photos and smooth 1080p HD video. Still not sold? This little drone will take a pic on command if you mimic the shape of a frame with your fingers and will start filming a video if you hold your arm at 45 degrees to the ground. If that isn’t #instagoals, I don’t know what is. Shop the DJI Spark Drone HERE. Capture Your Style is written by one of the top fashion influencers on Instagram. Aimee Song has amassed over three million followers and has tons of tips on how to get the ‘perfect shot’ for your Instagram. This book teaches you how to curate a gorgeous feed and gives you photography tips for everything from travel and food to fashion and decor. Plus, it makes a beautiful addition to any coffee table! Shop Capture Your Style by Aimee Song HERE. Video is the newest trend on Instagram with IGTV, and it's changed the content game. What started as rough, unedited clips on Instagram Stories has turned into an extension of your curated feed. With apps like Unfold, 'grammers are turning their videos into works of art for IGTV and IG Stories. So trust me when I say that the Insta lover in your life needs something to hold their phone while out and about. This stabilizer by DJI is great for creating those mini vlogs and capturing behind the scenes content - without all that shaky footage. 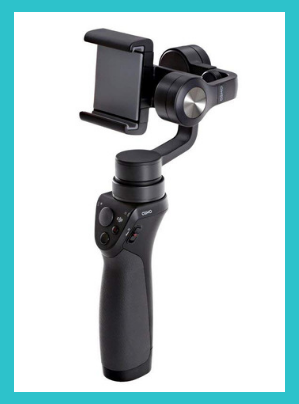 Shop the DJI Phone Camera Gimbal HERE. Every user with an "M" next to their follower count on Instagram started with 0 followers. InstaGrowth Boss is my most popular online course, and I designed it specifically to help fellow Instagrammers reach their growth goals and earn an actual income from their influence. Inside, you'll find modules on how to curate the perfect set of hashtags, strategies to boost your engagement, how to pitch to brands and so, so much more. 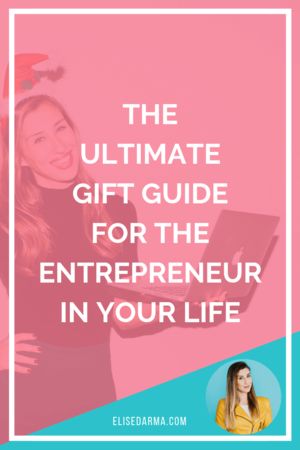 It's the perfect gift for budding business owners, travel bloggers or wannabe influencers.